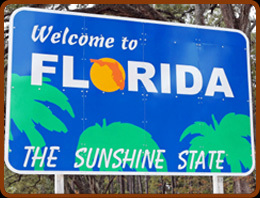 With its tropical weather and natural wonders, Florida is an ideal spot to own a log home getaway. However, over the long-run, that same tropical weather, with its heat, humidity, and storms, can wreak havoc on even the best built log homes. Flooding, roof rot, and insect damage are just some of the problems a log home in Florida can face without proper maintenance. Left unchecked, this damage can spread, destroying your beloved log home vacation spot. Don’t see your city listed? Call us. Whether you’re in Florida’s panhandle or close to the Florida Keys, chances are we can service your log home. At Performance Log Finishers, we’re a family-run business that takes pride in our legacy of craftsmanship and customer satisfaction. Call us today at 1-800-781-2551 and let us help keep your Florida log home a dream getaway for years to come.